One of the greatest things about Summer is the good ol' Summer BBQ's. I always get excited for the fresh grilled meats and veggies, summer salads, and of course desert! However, sometimes around July, I find that I start to get tired of the same foods over and over again. So I thought for our last family and friend BBQ I would try something a little different for desert. I decided to make some great homemade Ice Cream Sandwiches. The first sandwich is White Chocolate Macadamia Nut Cookie with Coconut Pineapple ice cream. 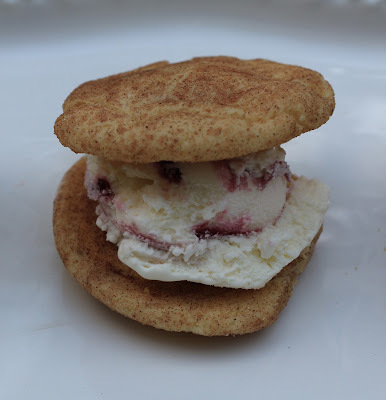 Second, is a Snickerdoodle cookie with a Marion Berry Pie ice cream. 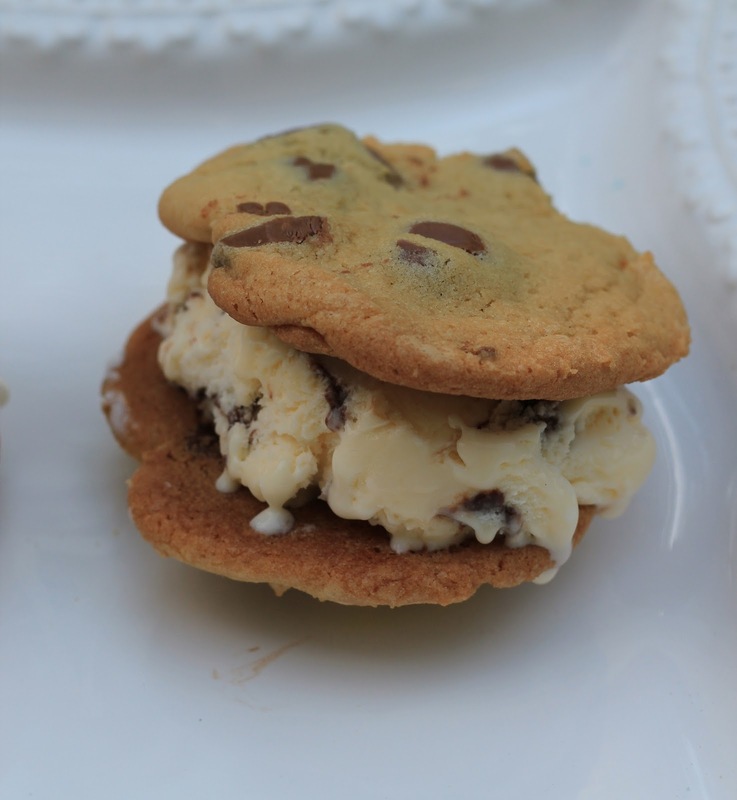 Third is a classic Chocolate Chip cookie with Fudge Track ice cream. Each cookie was a big hit in the end! Heat oven to 375 F. In large bowl, beat butter, granulated sugar, brown sugar, vanilla, and salt with electric mixer until creamy. Add eggs, beat well. Stir together flour, and the baking soda; gradually add to butter mixture,beating until well blended. Stir in white chocolate chips and macadamia nuts. Drop by rounded teaspoons onto ungreased cookie sheet. Bake 8 to 10 minutes or until set. (Edges are golden brown and center is set.) Cool slightly, remove from cookie sheet to wire rack to cool completely. 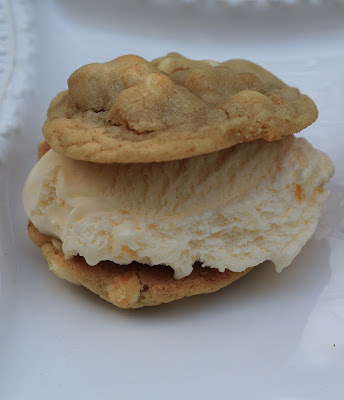 I will be honest I have never made a White Chocolate Macadamia Nut Cookie, so I searched the net and found this amazing recipe! Makes 2 dozen. Preheat oven to 350 degrees. Beat butter and sugar together until creamy. Add room temperature eggs one at a time beating until dough becomes lighter in color and fluffy. Put all your dry ingredients into a separate bowl and sift together with a fork. Add a little at a time until dough comes together. In a separate bowl, add cinnamon and sugar mixture together. Take a spoonful of dough, roll it into a ball, and then roll in the sugar/cinnamon mixture. Place on cookie sheet. When finished Bake for 8-10 minutes. Let sit on the cookie sheet for 2 minutes to rest, and then place on cooling wrack. These cookies are amazing the first day, but after that snickerdoodle tend to dry out and become a crunchy cookie instead of a soft one. If you are looking for a very soft snickerdoodle that will last a couple of days, add 2 tsp of Sour Cream, instead of Cream of Tarter. For the Chocolate Chip cookie recipe, I used the same as the White Chocolate Chip Macadamia Nut recipe, and instead of adding White Chocolate Chips and nuts, I added Milk Chocolate Chips. I'm sure everyone out there has an amazing Chocolate Chip recipe that they love to use, so use that one. 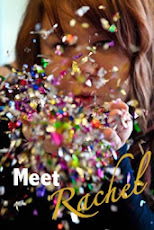 I'm still searching for the perfect one... and someday when I find it, I will post it! These were so good that guests ate 3 and 4! Best Sunday treat ever! Wish I could eat one of these right now! Looks SO good.